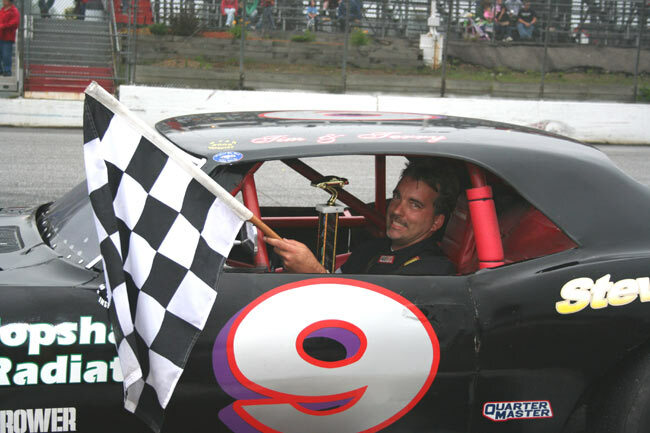 OXFORD, Maine - Ten seasons after his on-and-off driving career began as Oxford Plains Speedway, John Lizotte has joined his champion father as a feature winner. 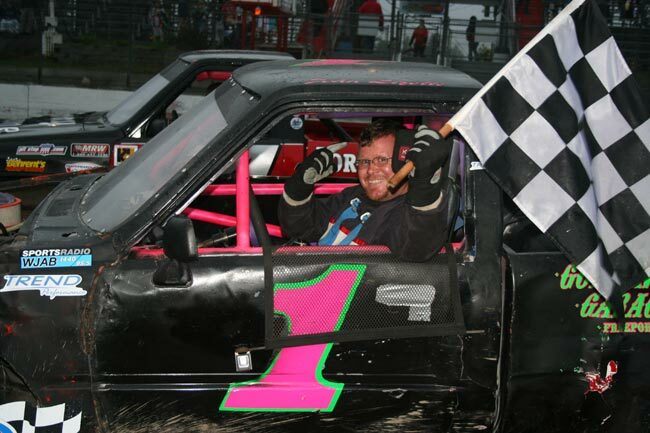 Lizotte won the rain-shortened Call of the Wild RV Center Sport Truck feature Saturday night. He took the lead three laps from the scheduled finish, sneaking underneath early leader Ryan Farrar just before the second and final caution flag of the event. When drizzle intensified and track conditions worsened during the extended stoppage, race officials called a halt at lap 18. Lizotte was the elated winner, with reigning division champion Jake Burns second and Farrar third. "I have to thank everybody connected with this truck," Lizotte said. "Especially my father. If it wasn't for him, I wouldn't have this truck." Jon Lizotte won 93 feature races at OPS from 1976 to 1992, capturing three Figure Eight championships and a Charger title. His take of checkered flags is third on the speedway's all-time list behind Mike Rowe and David Smith. 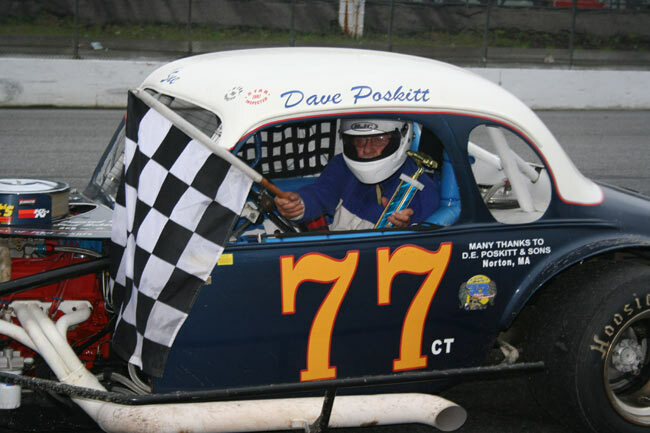 Former OPS Limited Sportsman champion Terry Huston and Dennis Dutch of Rhode Island were the Sportsman and Modified winners, respectively, in the annual visit by the Senior Tour Auto Racers. The Oxford Networks Late Model division will run double features on Maine State Lottery Fireworks Night this Thursday, July 3. Allen's Coffee Flavored Brandy Strictly Stocks now have a doubleheader scheduled for Time Warner Cable Night on Saturday, July 5. 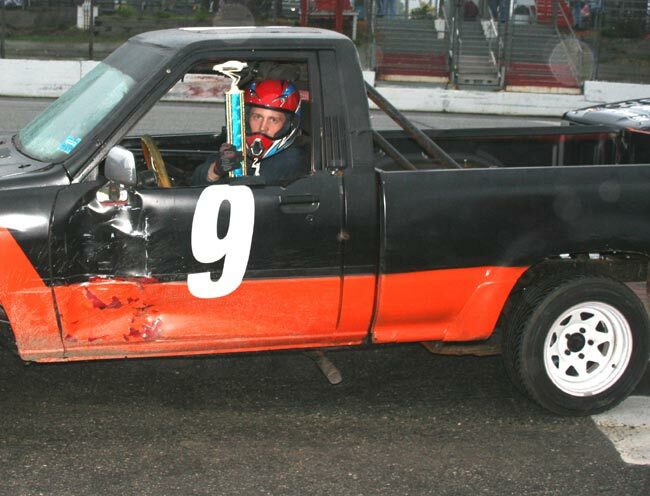 The Allen's Mini Stock and Macdonald Motors Runnin' Rebel classes will double up on Q97.9 Night on Saturday, July 12. Starting lineups for the make-up features are locked in after Saturday's qualifying; however, other drivers will be permitted to participate in the regularly scheduled heats and/or features on those evenings. After his quick dash to the front, he was in the right place to take advantage of Farrar's sideways slide through the fourth turn on lap 18. Farrar fended off challenges from Lizotte, Burns and Chad Binette prior to his momentary trouble. Burns, who was hoping to make it 4-for-4 in Agren Appliance Saturday Showdown competition this season, couldn't stage his usual charge in the slick outside lane. "I think I should have brought my rain tires and windshield wipers," quipped Burns. 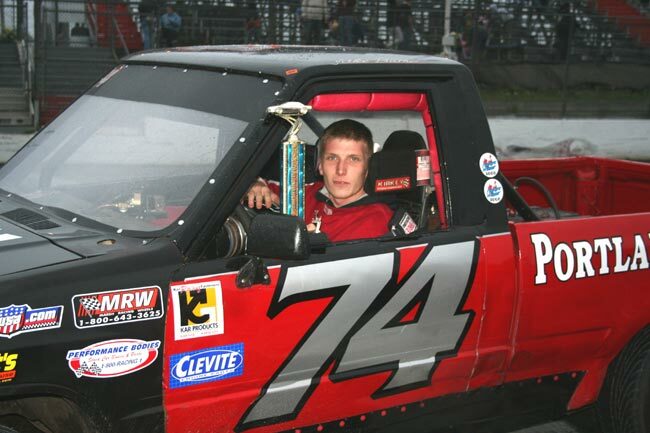 "But Lizotte's been in the Truck Series a long time. Probably nobody deserves this win more than he does. Farrar's third-place trophy came in a back-up truck. "I got taken out Wednesday night," he said. "This one goes pretty good, though." Binette and rookie Justin Roussel crashed to bring out the yellow with two to go. Tom Libby was credited with fourth after that exchange, with Binette fifth. Heat race winners were Corey Morgan and Kurt Hewins in Late Model, Tommy Tompkins and Kim Tripp in Strictly Stock and Butch Keene and Matt Moore in Mini Stock. 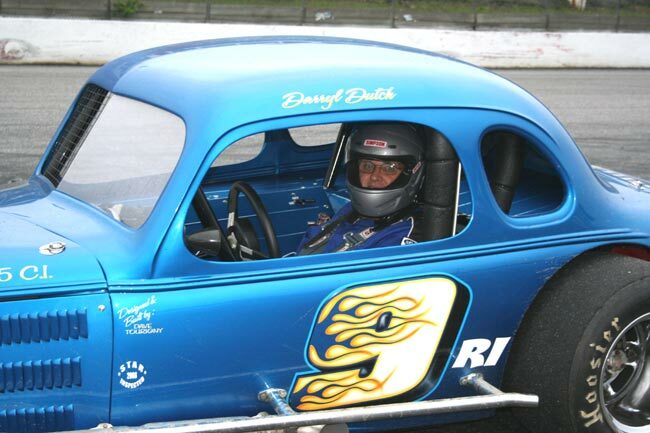 Modified winner: Dennis Dutch, Greenville, R.I.